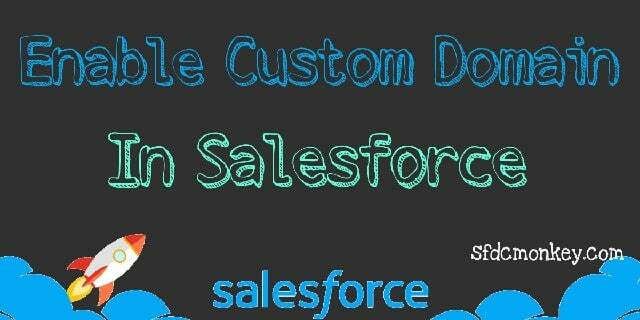 How To Enable Custom Domain In Salesforce ? What Is The Custom Domain OR My Domain in Salesforce ? 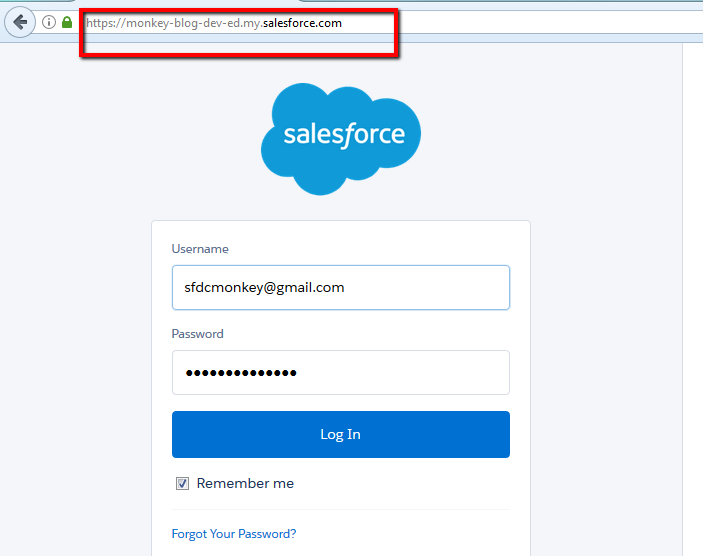 In a simple sentence, A custom domain or My Domain is a way to have your own Salesforce org customized URL rather than a common Salesforce URL. You can refer it, a sub domain, My Domain OR a Custom Domain. it’s same thing. However, a custom domain has a specific meaning for Salesforce Communities. By the registered a custom domain, you can do highlight your brand. and make your salesforce org. more secure and robust. This custom domain reserved only for your org’s use. that means, No one can’t take same sub domain name. It’s your new and unique Salesforce org URL. Why We need To Register a Custom Domain ? For Display Lightning components in Lightning component tabs, Lightning Pages, the Lightning App Builder, or lightning standalone apps. For social sign-on with authentication providers, such as Facebook and Google. For use Single sign-on (SSO) with external identity providers. Features unlocked, after a custom domain register. You can highlight your business identity with your unique domain URL. You can Brand your login screen and customize right-frame content. Set custom login policy to determine how users are authenticated. After enabled custom domain, you can work in multiple Salesforce org’s at the same time. Block or redirect page requests that don’t use the new domain name. Let users log in using a social account, like Google and Facebook, from the login page. Allow users to log in once to access external services. How to Register/Enable a Custom Domain ? You can Enable Custom Domain on Performance, Unlimited, Enterprise, Developer, Professional, and Group Editions. 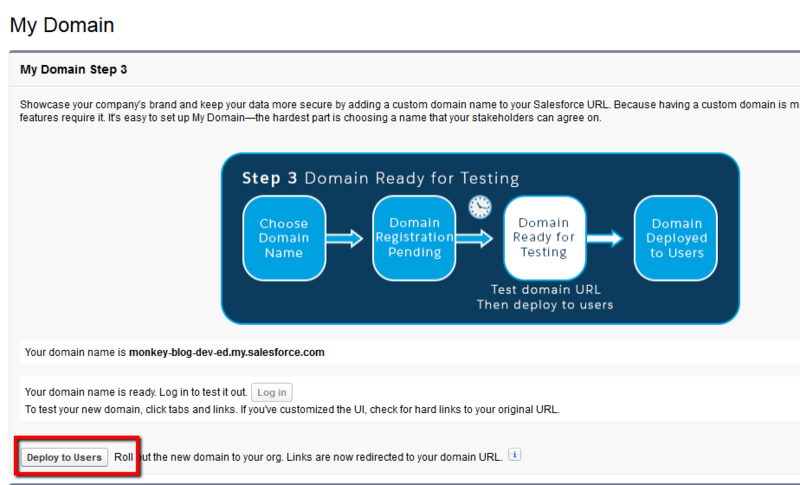 To Enable a Custom Domain on your salesforce Org. Go to Setup(classic) –> Administer –> Domain Management –> select My Domain. Enter, the subdomain name which you want to use within the Salesforce generic URL. but keep in mind that you can not use this reserve keywords like: www, salesforce, heroku .also you can’t start the domain name with: root, status, a hyphen (-). Click on the Register Domain button. It can take a few minutes before your domain is available. You can’t move to the next step until you get the activation email. After receive activation email, from the email click on the link to get back to the Log in screen with custom domain URL. Now you domain is Ready for testing. Click on the Deploy to Users Button for Roll out the new domain to your org. woo woo. Now all your users see the subdomain URL in the browser address bar. Congratulations, you’ve set up My Domain! After you deploy your domain, it’s activated immediately, and requests with the original URL are redirected to your new domain. Only Salesforce Customer Support can disable or change your domain name after it’s deployed. Customize Salesforce logIn Screen In Just Few Minutes.